It’s the week after Christmas. 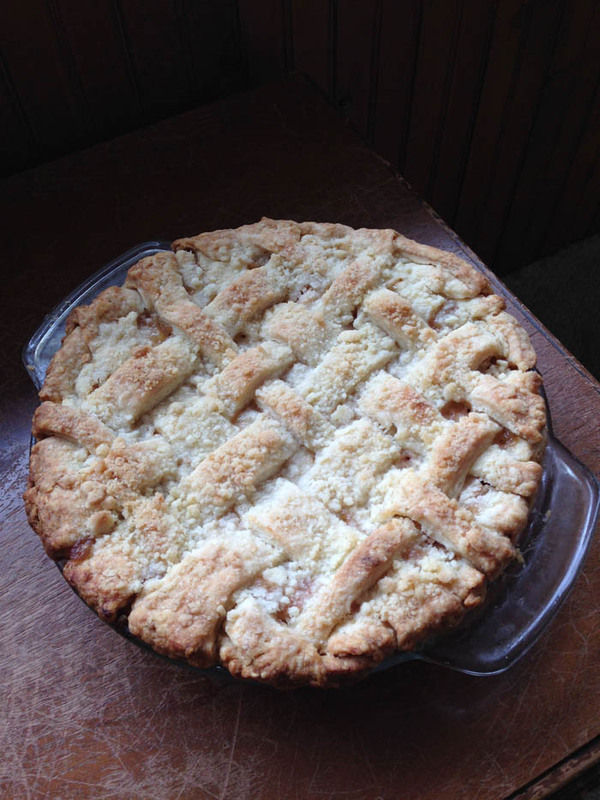 Your baking marathon has seemingly come to an end. You are ready to put the butter, sugar and flour behind you and start the year off with that same New Year’s resolution to eat healthy. There’s just one problem: you have a cupboard full of half empty bags of various chocolate chips. 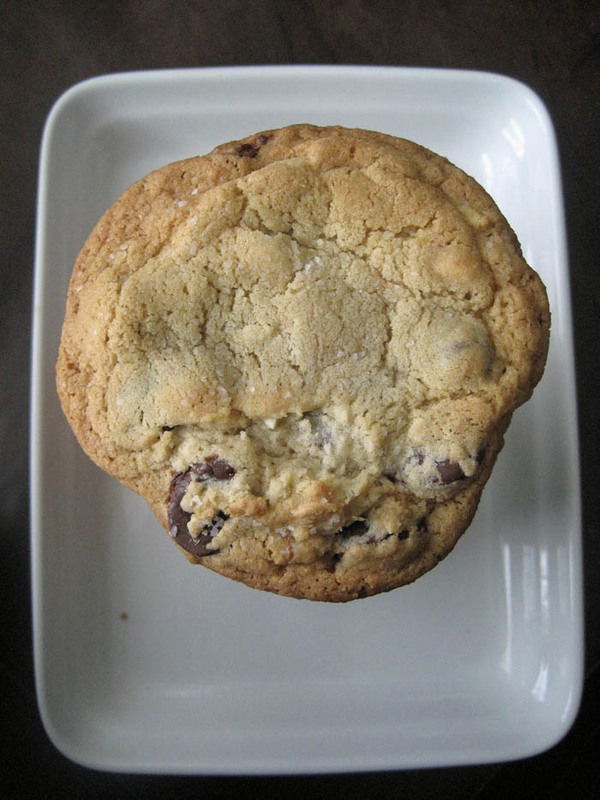 With this problem I propose a solution: there is still one day left of 2013, so make GIANT chocolate chip cookies with all your leftover chips! Seriously, let’s go out with a bang! I knew these would be good before I even started checking my chocolate chip levels because the recipe comes from Cinnamon Spice & Everything Nice, the lovely Reeni, who brought us Peanut Butter Banana Chocolate Chip Bread, Peanut Butter and Jelly Bread, and Chicken Cordon Vert Rollups. I usually have trouble with making GIANT cookies like these. They often spread too much, burn or don’t cook all the way through, but these turned out perfectly. They stayed round with a lovely golden edge and slightly underdone center. If Bob Ross baked, these would be his “happy trees” equivalent. In the land of cookiedom, these would be a gold standard stored in Fort Sugar. I am not a fan of nuts in my chocolate chip cookies, so of course I took the 1 cup that should have been nuts and redistributed amongst the chips, making it 1 1/4 cup of semi sweet, 1 cup milk and 1 cup white chips. 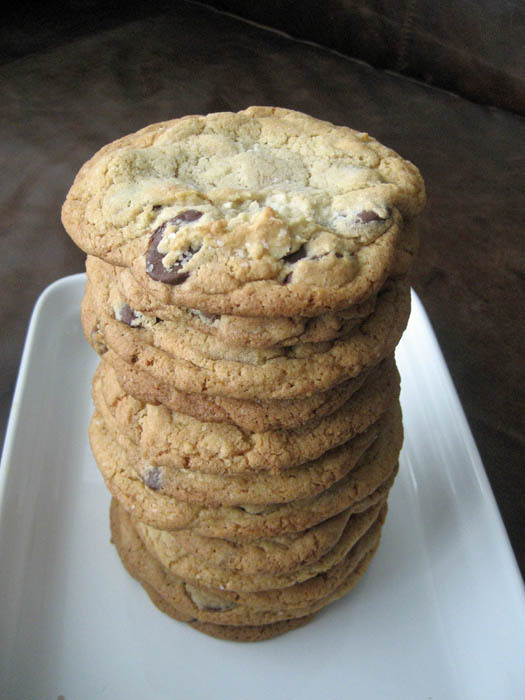 Because these are jumbo cookies there is a lot of dough involved and it gets thick. I highly recommend a stand mixer on this one, unless you have pipes like Ronda Rousey. Although if you did, you probably don’t eat a lot of cookies, and your spoon or spatula will still break under pressure. You have to have one of these fresh out of the oven. You absolutely have to! Cookie bliss! The Nestle, Betty Crocker and Pillsbury families all holding hands and singing in unison. 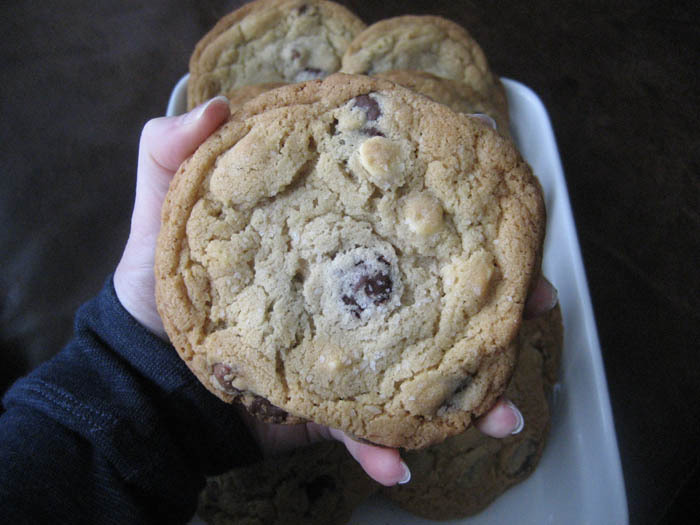 These are best within a day of baking, but I was still craving them and noshing for days after. Keep them in a covered container or Ziploc bag to stop them from drying out. If they do, dunk in milk or hot chocolate because you can. If they don’t dry out dunk them in milk or hot chocolate because. Preheat oven to 375° F. Line cookie sheets with parchment paper. In a large bowl whisk flour, baking powder, baking soda, salt and cinnamon together. In the bowl of a stand mixer, beat butter with both sugars together on low until creamy. Beat in eggs and vanilla extract. Gradually beat in flour mixture in short bursts of power, being careful not to let the flour fly out of the bowl. 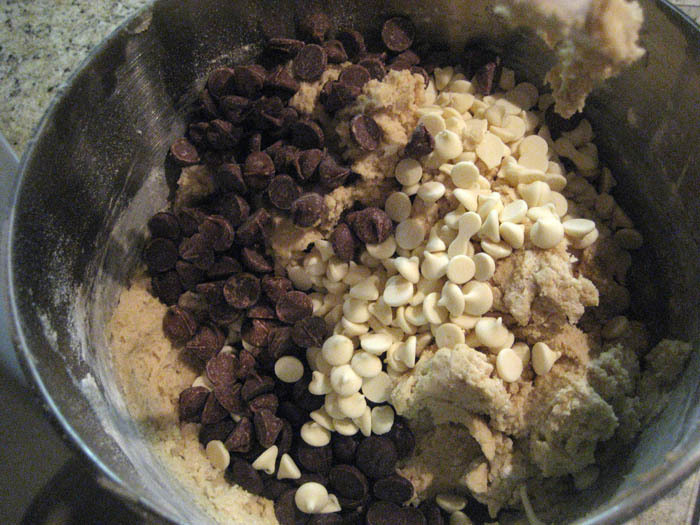 Add chocolate chips and nuts. Mix briefly until incorporated. Use a cookie dough scoop to place 1/4 cup balls of dough 3 inches apart on cookie trays. Use hands to mold balls into a disc shape. Sprinkle tops with sea salt. Place cookie dough, covered, in fridge between batches. 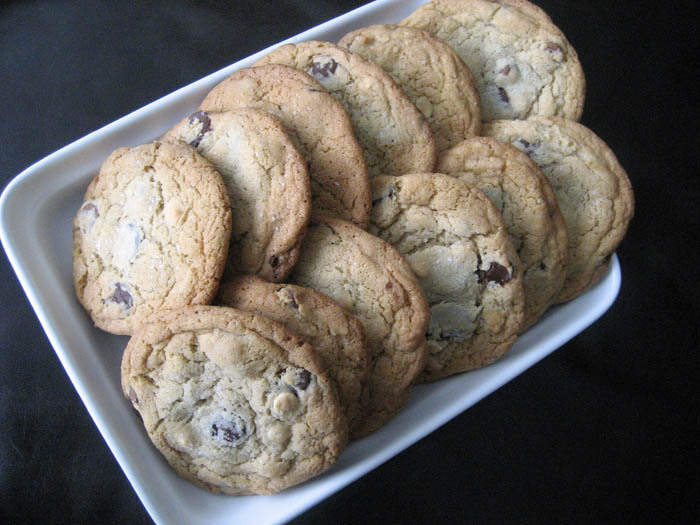 Bake for 12 – 14 minutes or until light golden brown around the edges. Cool on baking sheets for 5 minutes then remove to wire racks to cool completely. 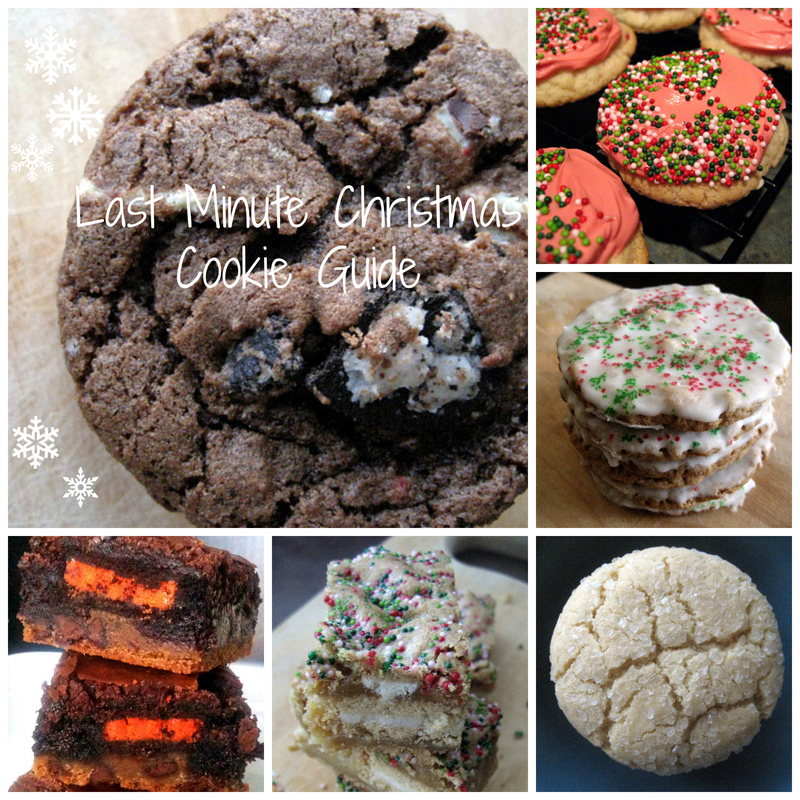 It is t-minus two days to Christmas and you haven’t baked your cookies yet? What kind of masochist are you? Oh my bad, you’re actually still looking for a parking space at Target. Your commitment is admirable, but now you have previous few hours to get that cookie platter stacked that you promised to bring to the party. I’m gaining a new appreciation for the Golden Oreo. First it was the Fluffernutter Oreo Moon Pies and now it’s these Triple Blondies. Also, I will say a Golden Oreo is divine dunked in hot chocolate. 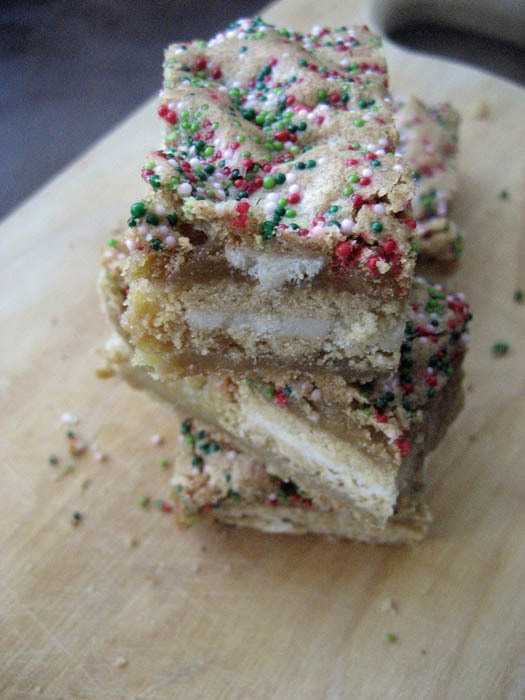 This recipe which I got from What’s Gaby Cooking, was originally called Slutty Blondies. I couldn’t resist right? You know I love a slutty brownie. 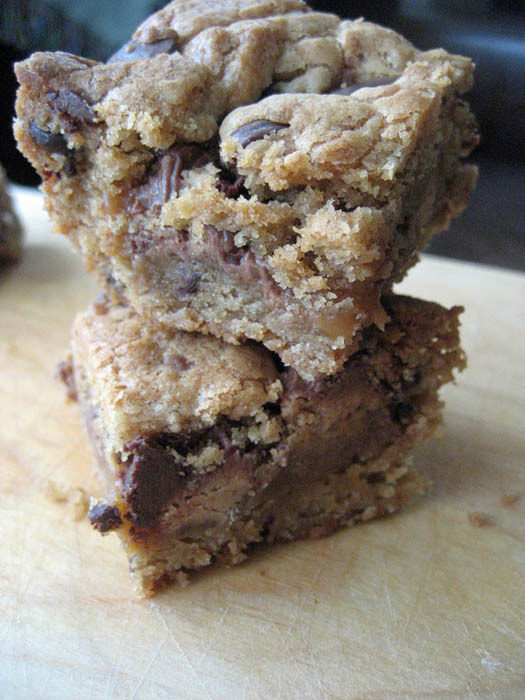 However, I changed the name to Triple Blondies, because I can not, in good faith, give these the “slutty” moniker. I believe part of the reason they’re called slutty is because they’re easy to make… ha! Get it? 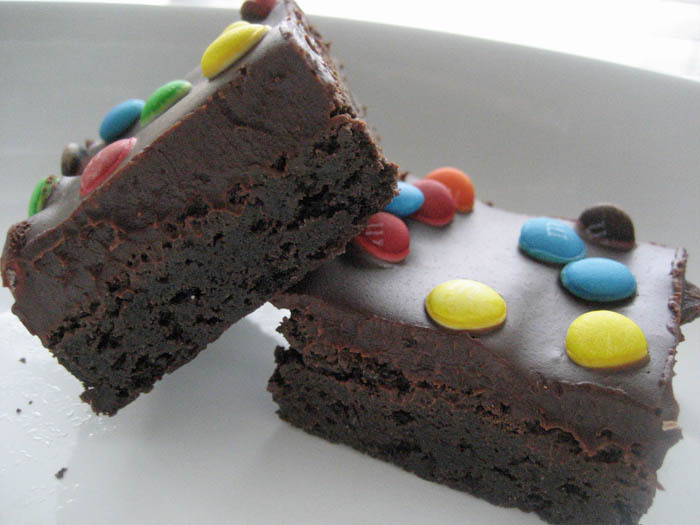 The reason traditional slutty brownies are easy to make is because you use refrigerator cookie dough and brownie mix. This recipe requires you to make the cookie dough and brownie batter from scratch. This recipe convinced me to go back to full size peanut butter cups. By accident. For some reason I thought it called for full size peanut butter cups. Happy accident. I am a slacker at this blog business. I remember when I started I had my whole month planned out, my photos edited and my copy ready to go days before things were schedule to post. I agonized over each photo and toggled the contrast, curves and highlights endlessly. I wrote the entry from beginning to end, then went back two or three times to edit. It’s the most awful time of the year. Nope, not talking about Thanksgiving, because I love Thanksgiving. Not talking about Christmas, I love Christmas. Not talking about fall, winter etc. I’m talking about shopping season. I realize it’s been a LONG time without a Fired Up Friday. Sorry. I haven’t had much to be fired up about lately in the running, jumping, swimming, biking, swinging, spinning department. I’ll expand in a later post.. maybe. But this is different my friends, because I am fired up, I am pumped, I am jacked. I am going home! And every achy mile I run and I hear this song come on, I’m reminded that next week I get to GO HOME to Wisconsin!